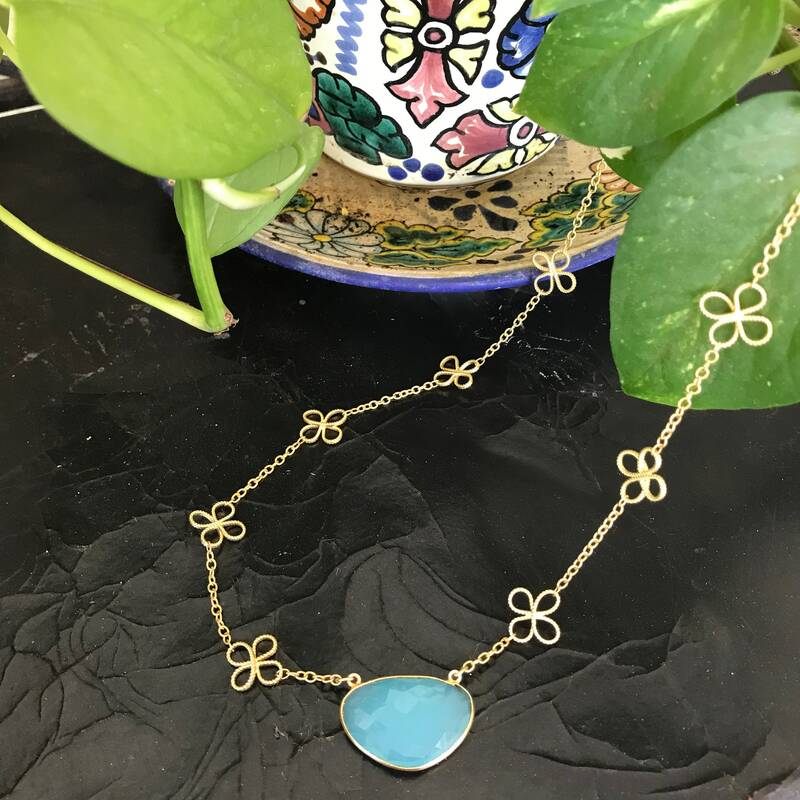 Chalcedony Necklace, Aqua Chalcedony Bezel Pendant, Clover Flower Chain, Vermeil and 16K Gold Plate, 20, 22, 24 Long. 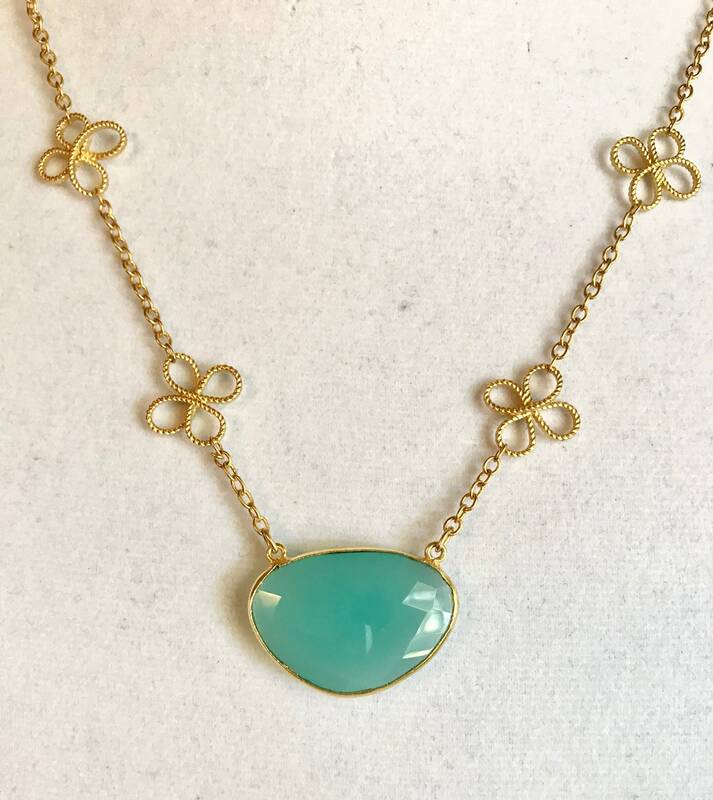 Chalcedony Necklace, Aqua Chalcedony Bezel Pendant, Clover Flower Chain, Vermeil and 16K Gold Plate, 20, 22, 24" Long. 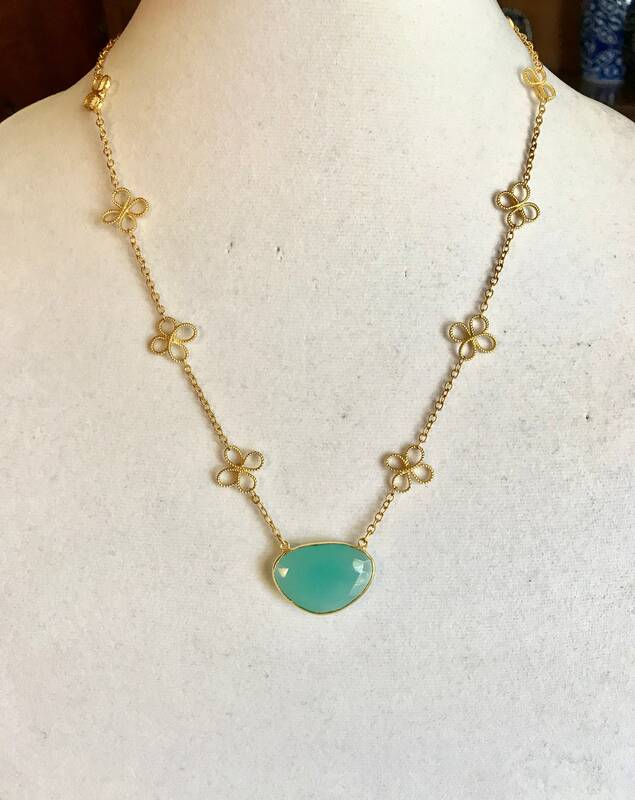 Beautiful and Delicate Clover Flower Chain with amazing Aqua Chalcedony Pendant .